Try the “What’s covered” mobile app! Did you know that there is a quick way to check if your medical item or service covered by Medicare Part A and/or Part B.
Medicare’s new free “What’s covered” app delivers cost and coverage information right on your smartphone. Now you can quickly see whether Medicare covers your service in the doctor’s office, the hospital, or anywhere else you use your phone. This app is available for free on both the App Store and Google Play. 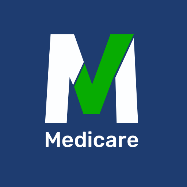 Search for “What’s covered” or “Medicare” and download the app to your phone. Once it’s installed, you can use it to get reliable Medicare information even when you’re offline. a list of covered preventive services. If you’re reading this on your phone or tablet, get the app directly from the App Store or Google Play.